A mini comic blast of a necklace, this POW! will add a brightly coloured twist to every outfit. Team with the Dainty BAM! and POW! 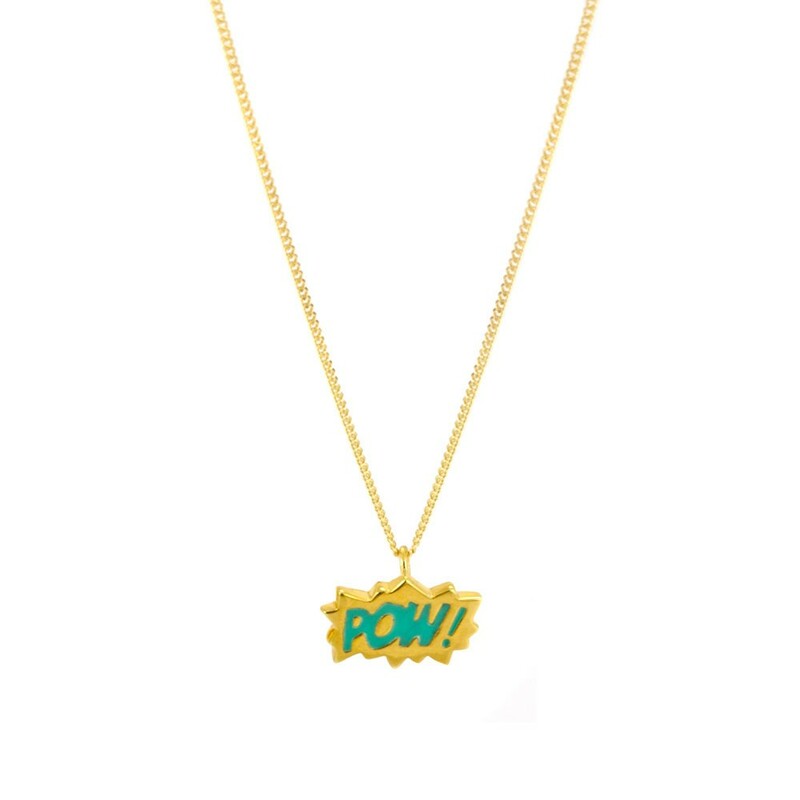 enamel studs for all-out superhero style.